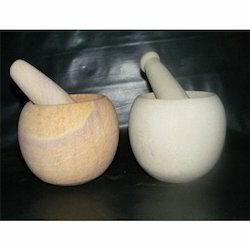 Mortar and pestle, 60 ml, 100 ml, 150, 275, 550, 900, 1500, 2000, 4200, 7000 mls. The attached item is a Hemam dasta (khal Batta) made from Black Granite stone.This is very very strong and durable.It is very delicately designed that the spices and other material can be out while grinding. Size: L-2.8" x W-2.8" x H-3" Musal= H-3.8"
Dimension: D-2.5; Musal D-1.25 x H-3 Inches Approx. 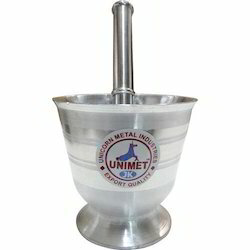 We are manufacture and supply iron pestle & mortar in Pune. These iron pestle & mortar is great for intensifying the flavours of everyday cooking. By grinding and pounding raw ingredients you can control both their flavour and texture.